As Android fanboys, we love a good t-shirt design that includes anything related to our favorite mobile OS while taking pot shots at the competition. Today’s TeeFury shirt (that is available today only), is a great example of all of that. 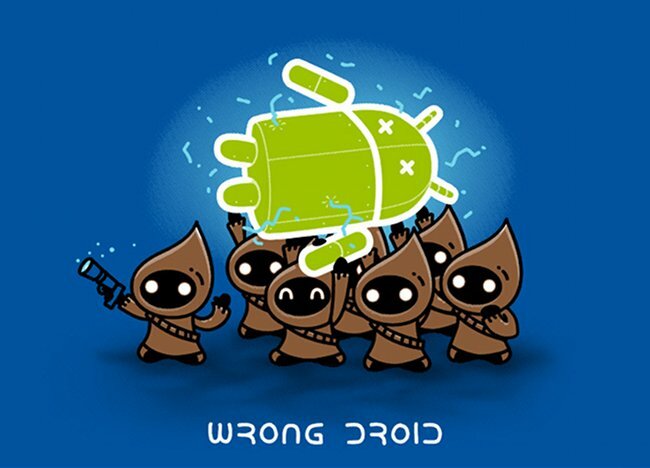 The shirt is called “Wrong DROID” and is a parody on the R2-D2 capturing scene by Jawas in Star Wars, but also a “satirical take on the license fees” that Android OEMs pay to the likes of Microsoft, according to its creator.